Rajparis Crystal Spring 2 in Medavakkam, Chennai South by Rajparis Civil Construction is a residential project. 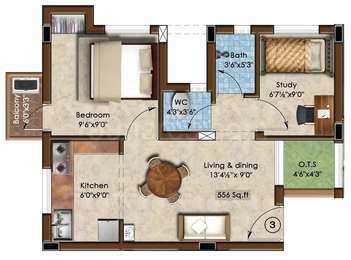 The size of the Apartment ranges in between 556.0 sq.ft. and 1233.0 sq.ft. Rajparis Crystal Spring 2 price ranges from 29.99 Lacs to 66.52 Lacs. Rajparis Crystal Spring 2 offers facilities such as Gymnasium and Lift. This is a RERA registered project with registration number TN/01/Building/0122/2017. The project is spread over a total area of 5.44 acres of land. It has 15% of open space. Rajparis Crystal Spring 2 has a total of 9 towers. The construction is of 4 floors. An accommodation of 437 units has been provided. Rajparis Crystal Spring 2 brochure is also available for easy reference. Where is Rajparis Crystal Spring 2 located? The project is located in Medavakkam, Chennai South. What are sizes of apartments in Rajparis Crystal Spring 2? The apartment sizes in the project range from 556.0 sqft to 1233.0 sqft. 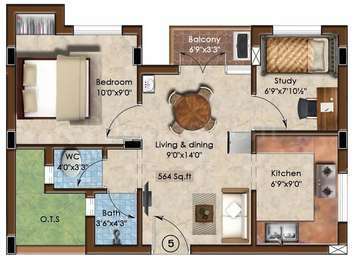 What is size of 2 bhk in Rajparis Crystal Spring 2? 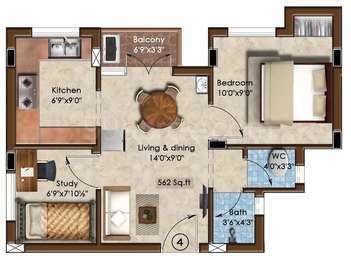 The area of 2 BHK apartments ranges from 556.0 sqft to 906.0 sqft. What is total size of Rajparis Crystal Spring 2?The project is built over an area of 5.44 Acres. How many towers are there in Rajparis Crystal Spring 2? There is 9 tower in the project, which offer a total of 437 housing units. ajparis Fortune Tower, Rajparis Crystal Springs, Rajparis Padman, Rajparis Ramnivas and Rajparis Harmony.